It is a mountainous task to pick the most defining moment of today’s play. Yesterday, it was definitely the wicket of Sachin Tendulkar off the bowling of Peter Siddle right on the stroke of stumps. But today what was special was to Ben Hilfenhaus making an impressive comeback in Test cricket with a five-wicket haul, giving Australia an unexpected yet a handy first-innings lead of 51 runs. 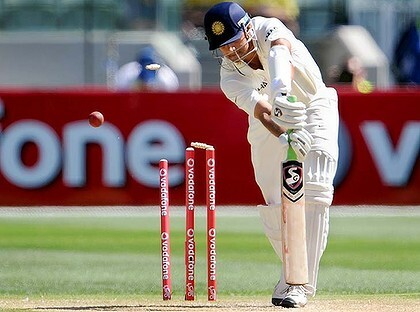 India came into day 3 at 214/3, with Rahul Dravid and Ishant Sharma at the crease. They could taken the game away from Australia but Hilfenhaus had other ideas. He got Dravid out on the second ball of the day off a terrific outswinger on which he reacted extremely late and was bowled. Clarke’s morning as captain only got better as Laxman too fell in the same period of time as commentary changed on Star Cricket,i.e, 30 minutes. This time it was Siddle who caused that damage as he took off from where he left yesterday and accounted for another experienced Indian batter. Ishant survived for as long as 90 minutes as he defended solidly as well as left Siddle’s two bouncers with aplomb, which would make any top-order batsman proud. Nevertheless, Australia made full use of the juiciness in the pitch and exemparily, they attacked with the old ball as well as the new ball. The pacers aimed at bowling good length deliveries to trouble the Indian batsmen and that is exactly what happened. Virat Kohli seemed to be play a promising innings but was dismissed for 11 by an already charged up Hilfenhaus and Brad Haddin continued to increase his tally of catches. 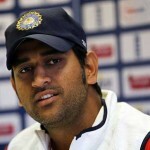 Dhoni who has been criticized for a poor technique, was dismissed in the first over after Clarke took the new ball. At 245/7, it was India’s tail which had to reduce the deficit but the runs started drying up. James Pattinson shared the new ball with Hilfenhaus but the local boy was unfortunate to pick just 2 wickets in the innings, despite bowling his heart out due to the pace he generated from time to time and was not rewarded with the wicket of Ashwin early in his innings because of poor umpiring which has marred this Test to an extent. Yet, Ashwin managed to salvage some pride for India with his 30-odd runs as India lost seven wickets for 68 runs in one session and the match was back in balance. When it was Australia’s turn to bat second time around, memories of Cape Town began to occur. India started off brilliantly with the ball, as Zaheer Khan and Umesh Yadav put tremendous pressure on the batsmen with the former focussing on swing while the latter focussing on pace. Warner batted really patiently which was a surprise, but not making runs got on to his mind and he got an inside edge onto trying to drive Yadav through the covers. It was a huge wicket but it played catalyst to a wicket burst. Shaun Marsh was out in a similar fashion to Yadav while Cowan, who was living dangerously due to Zaheer troubling him with his line and length, tried to leave a straight ball off Yadav since he was getting accustomed to see the ball swinging and and was given lbw. While Michael Clarke was again bowled off Zaheer for 1, and Australia were reeling at 27 for 4. Ironically, it is Australia’s two senior-most and under-pressure batsmen, Ricky Ponting and Michael Hussey who redeemed their team in such a precarious situation. Ponting was once again tentative at the start of his innings due to the swing Zaheer was generating and Ishant’s nagging line and length. But once he got into stride, the trademark Ponting shots could be seen. 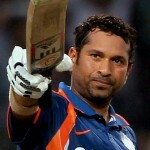 The flick off his pads, the pulls, the cut shots were played majestically as he reached his second fifty of the match. Unfortunately, it was curtains for him on 60 when Zaheer bowled him an outswinger which Ponting had a poke at and Sehwag took a regulation catch at third slip. Another prospective hundred was missed but he had done his job of guiding the team with his experience, with a 115-run partnership with Hussey. Hussey will now retain his place for Sydney as he remains unbeaten on 79 at the end of the days play. He too was out of touch at first, but as he saw Ponting at the other end regaining his confidence, he took inspiration from him. He is called ‘Mr. Cricket’ for a reason as Australia always relies on him when in trouble. The others such as Haddin, Siddle and Lyon did not trouble the scorers much. However, he held fort till the end even as he was lucky to be dropped by Rahul Dravid off the bowling of Ashwin on the verge of stumps. Australia are at 179/8 at the moment with a lead of 230 runs. The match is poised for a thrilling finish for sure and once again, it will be the first session tomorrow which will hold the key to India’s chances of going 1-0 up in the Border Gavaskar Trophy.